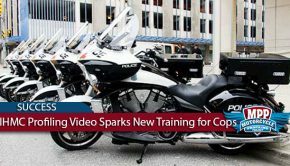 The Motorcycle Profiling Project (MPP) recently received a video capturing a typical motorcycle profiling stop that occurred in September 2016. 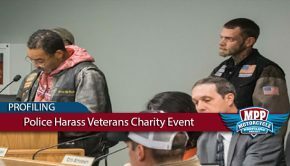 One of the victims explained to the MPP that a group of Ft. Worth Gang Task Force officers in four vehicles conducted a stop on four motorcyclists wearing motorcycle club insignia. 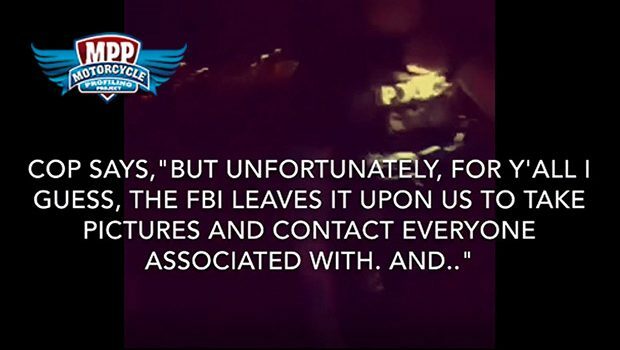 On video, a Ft. Worth officer admits that he has engaged in a pattern of profiling and stopping individuals based on their associations with motorcycle clubs in order to photograph and gather intelligence. Although disturbing, motorcycle profiling stops are becoming more common, so this admission is not shocking. What is shocking is the explanation for why a policy of profiling exists in the first place. Is this officer’s statement true? At best, is this happening just in Ft. Worth? Just in Texas? Or is the FBI encouraging local PD’s everywhere to make contact with all 1%’ERS and associates through profiling stops in order to photograph and document the movements and associations of hundreds of thousands of people? Dr. Will Dulaney is a biker’s rights activist, veteran with multiple deployments, and Associate Professor of National Security at a major military college. He has written about, testified, and consulted in both state and federal RICO and state gang enhancement cases for well over a decade. Dulaney analyzed the video and concludes that it serves as proof that a federal model of motorcycle profiling exists. 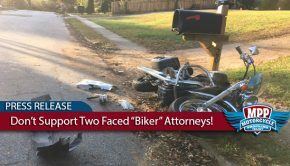 “What the law enforcement officer acknowledges in the video is import because he establishes video-graphic evidence supporting the fact a federally controlled system of motorcycle profiling exists”, says Dulaney. 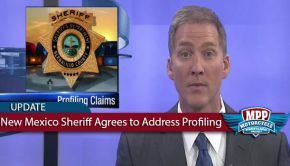 Dulaney argues, “In over a decade of sifting through discovery evidence and testifying in federal RICO and state gang-enhancement trials across the US a model of law enforcement behavior has emerged. Note: This model is being presented in a peer-reviewed paper to academics and policy makers this June during the annual meeting of the International Journal of Motorcycle Studies at the University of Colorado in Colorado Springs. Being a 1%’ER, or being associated with a 1%’ER, is not illegal nor does it rise to the level of reasonable suspicion justifying a stop under the 4th Amendment. Profiling stops also amount to Selective Enforcement of the law in violation of the 14th Amendment. Motorcycle club insignia is also protected by the 1st Amendment and wearing colors is considered expressive conduct. Evidence of such systemic profiling demands legislative relief at both the state and federal level. Being in a motorcycle club, even a 1% club, is not a justification for the wholesale violation of civil liberties represented by a systematic policy of profiling stops and intelligence gathering. 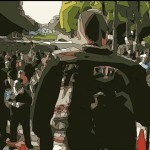 Please contact your elected officials and request support for a law addressing the issue of motorcycle profiling. This is Discriminatory harassment, unlawful stops & searches. A Constitutional Attorney knows of these laws.